This Meme Will Make You Laugh So Hard That You’ll Burn Calories! Yes, we're fairly certain that by the time you're done reading this, you would have definitely burned some calories because all the laughter! 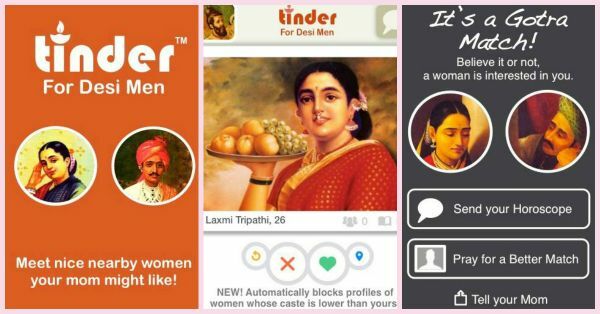 You see, Inedible India put up this totally hilarious meme in which they have, let's say, Indianized the famous Tinder app. Have a look! Yes, we know, it’s too small to read everything… Scroll down for the detailed post-mortem!! 1. It comes with the perfect tagline! 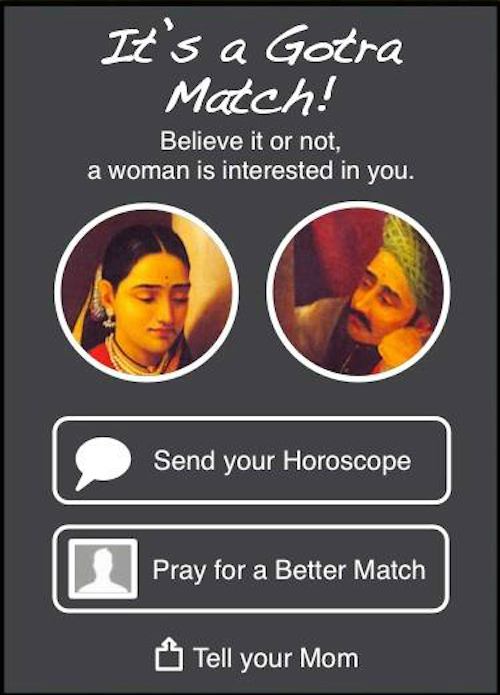 Okay, so it’s not true for ALL desi men, but we bet you know at least SOME desi men like this! 2. 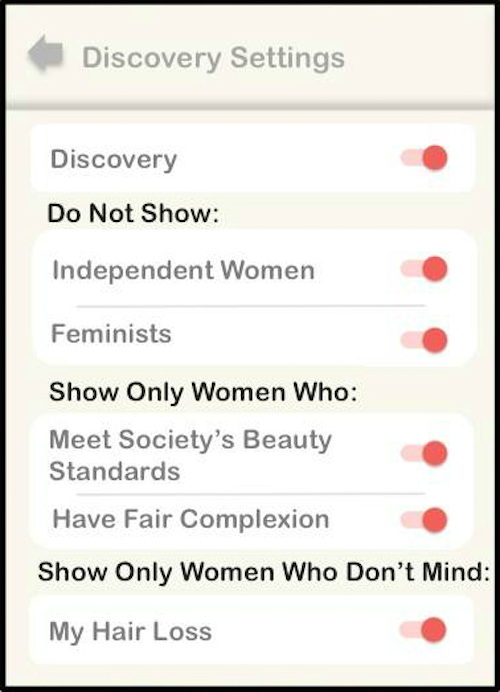 And with a special "caste" feature! 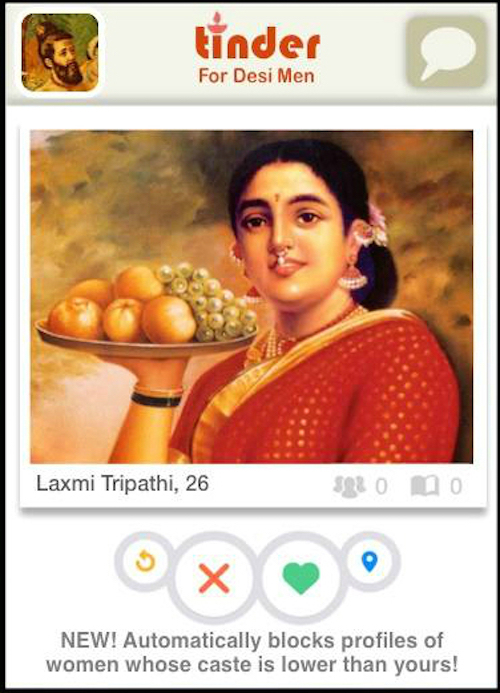 Yep, even panditji would approve! 3. Oh! 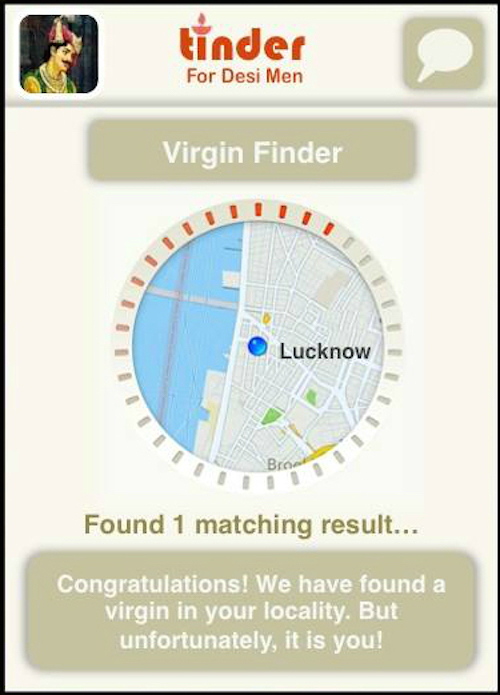 Don't forget about the Virgin Locator! Can't do without that now, can we? 4. 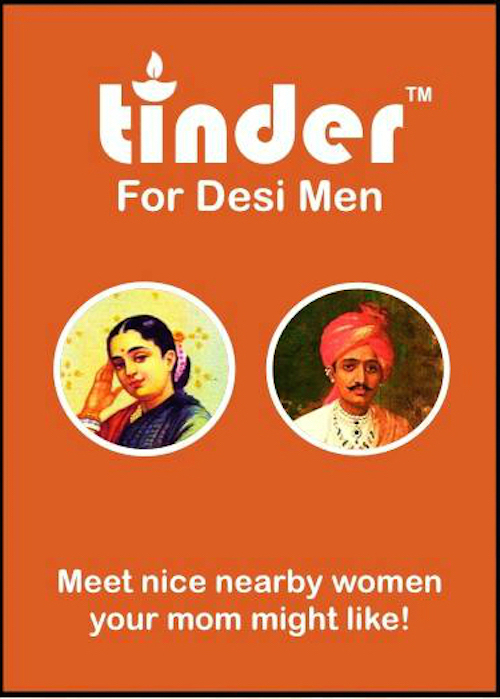 And some classic settings just for the "desi man"! 5. You can skip your cardio tonight after this one! Because stars and mom HAVE to agree, no? Been there. Done that. Images: Inedible India on Facebook MUST-READ: 6 Bra Memes That Will Make You Laugh Till Your Bra Pops Open! 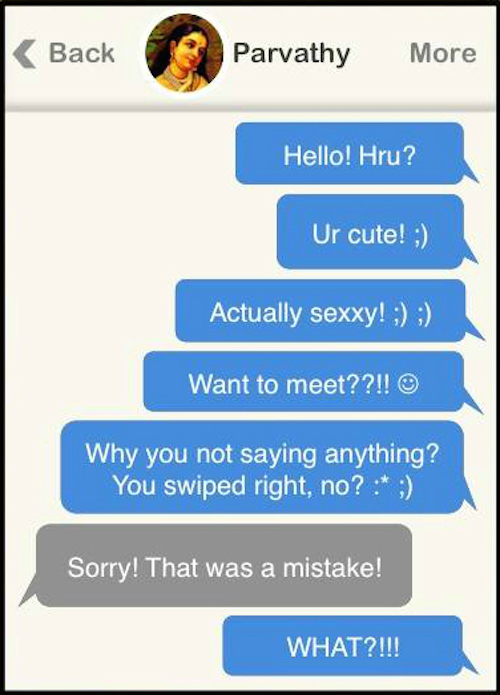 MUST-READ: Hello, Boys – This Is How NOT To Talk About Us With Your Friends!